What kind of business offers guaranteed Car Finance to an unknown person from the street? Perhaps a lender that is trying to lure people with bad credit into taking loans for cars they wish to buy or a car dealer that is looking to exchange an old car belonging to a person for a new one with a promise to finance any extra money that is required. In either of these cases the lender or the dealer makes that money they want while people get a car of their choice. Getting loans from traditional institutions is not an easy task for most people. These institutions demand a huge amount of paperwork from people apart from good credit scores before they entertain any applications. 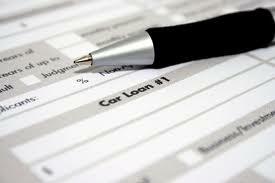 Lenders or car dealers that offer guaranteed car finance are different in their requirements in this regard. They do not bother about credit scores and need just the bare minimum documentation from people looking to buy a car. All they ask for is proof of age, income, residence and a bank account. Credit scores are irrelevant to these people as their main objective is to wither finance the car at a high rate of interest or sell a car, again with a high rate of interest imposed on the finance.People that flock to such dealers or financiers usually know that they cannot get such an offer from any of the local banks or financing institutions. They are also aware about the high rate of interest they will be asked to pay for the finance and that additional charges will be imposed on the account in case of defaults. However left with no other options or offers that look too good to be true, they fall into a trap, well orchestrated by lenders and car dealers.Are these deals any good? Perhaps to a person that has planned such a purchase well in advance and is prepared to meet the payments required this is a good option. However most people are not prepared for what follows in case of defaults in payments giving rise to complaints against practices followed by the lenders and dealers.If you are looking to buy a car offered with guaranteed car finance you must keep the above points in mind. Do take the offer if you are fully prepared to meet any consequences, which may arise if you get on the wrong side of these lenders or dealers. Also keep in mind that the dealer may sell you a car that may not be worth the price tag indicated on the car.